When you have finished a manuscript, you need an abstract that informs future readers what the article is about before they (pay to) download it. Also, when you want to present your work at a conference, you need an abstract to show what your research is about so the selection committee can assign you to the correct session, and so the conference attendees can decide whether or not to listen to your presentation or look at your poster. Keep in mind that the decision to read your article or assign you a slot as speaker depends on the information available in your abstract. So your abstract should be a self-contained text that represents your research well. First look up what the requirements of the journal or conference are for the abstract. The abstract can be either unstructured or structured. In the last case, the required sections are usually: Introduction (or background), methods, results, and discussion (or conclusion). The number of words is usually limited, often to less than 300. Some conferences allow you to add a table or figure to the abstract; this will usually ´cost you words´ so think about this carefully. Also think about the audience, if you are, for instance, going to a conference that is in a (slightly) different field you need to make clear in the introduction how your work is relevant to that field. So make sure your abstract appeals to the intended audience. Finally, check for rules about style, such as whether abbreviations are allowed. 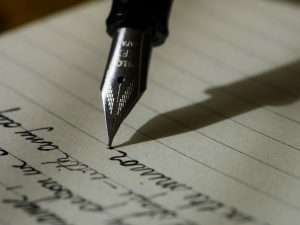 Don´t use copy-paste from your main text but rather try to write a unique abstract from scratch. Do use the keywords you chose for your manuscript (if any). Below is an outline you can use to write the abstract. Start with one or two sentences with some background on the field that can be understood by any scientist. Then one or two sentences of a more detailed background, that can be understood by scientists in a related field. One sentence that states the specific problem you address in this research. One or two sentences about the methods used, including the number of subjects if appropriate (alternatively these numbers can go into the results). For an unstructured abstract you may want to start this part with: ´Here we show…´ or ´The main results are …´ or something like it. One to three sentences that indicate the main results. Do include percentages and p-values to make the results specific. Two or three sentences on how the results tie in with, contradict with, or add to previous knowledge. One or two sentences to put the results into a general context. Perhaps two or three sentences to indicate the broader perspective that can be understood by any scientist. Note: For unstructured abstracts just leave out the words I indicated in italics. For a conference abstract, you also need to write a title that reveals both the topic and the main result or conclusion. The title needs to be appealing by itself as many conference books have, in addition to the abstracts themselves, lists of titles so attendees can quickly scan the topics. Have a look at some abstracts of articles in your field or target journal that you like, or at abstracts from previous conferences to see whether you can spot the above sentences. Don´t try to cram all your data in; you just need to get the reader interested, they will be able to read your manuscript or come to your talk or poster later. Note: if your conference abstract is accepted for a presentation within hours or a few days after submission you may want to check that you are not dealing with a predatory conference.